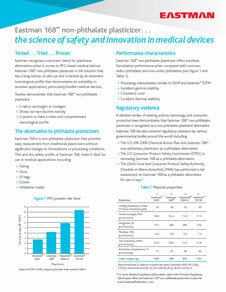 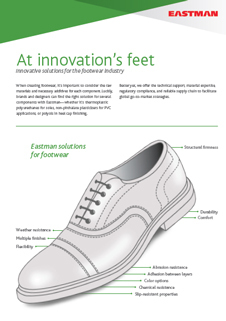 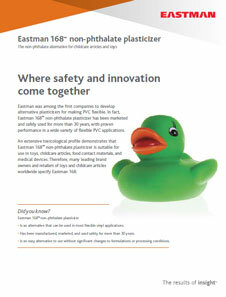 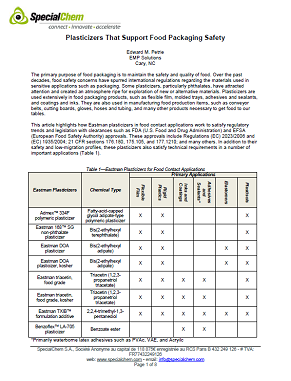 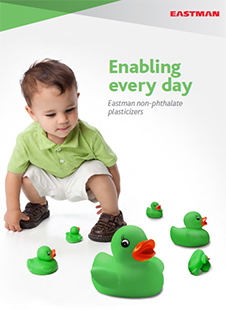 Eastman 168™ from Eastman is a non-phthalate plasticizer. 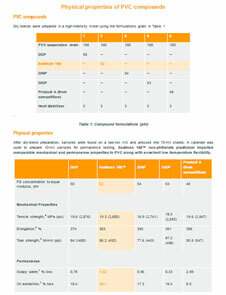 Offers good performance properties. 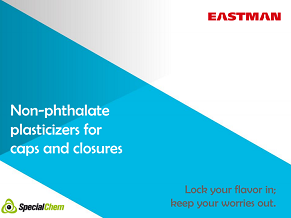 Provides low temperature flexibility and resistance to extraction by soapy water. 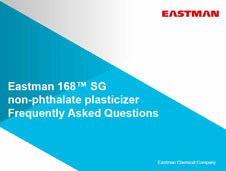 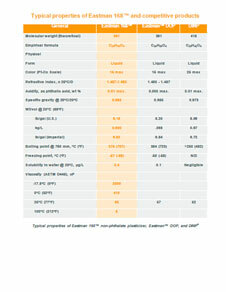 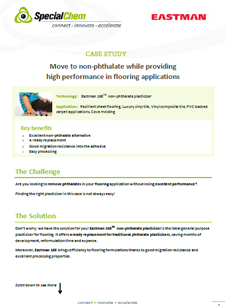 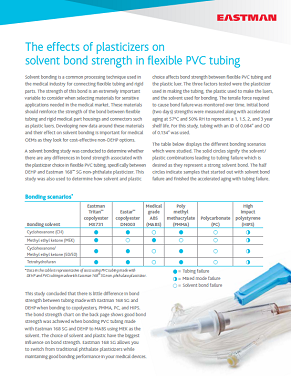 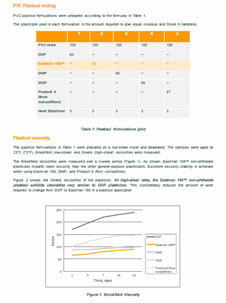 Eastman 168™ Plasticizer exhibits very good non-migration properties. 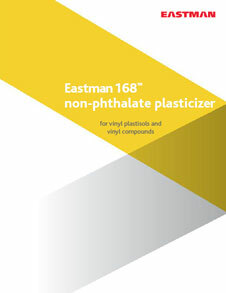 Used for bottle caps and closures, coatings for cloth, electric connectors, flexible film, pavement striping compounds, plasticizers, sheet vinyl flooring, toys, traffic cones, vinyl compounding, vinyl gloves, vinyl products, vinyl water stops and walk-off mats.